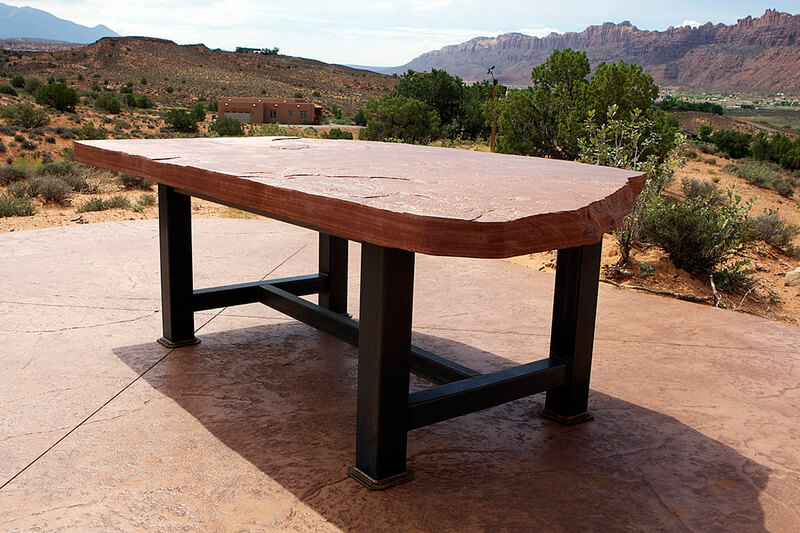 Triassic's goal is to incorporate the natural environment with your living space. We use elements from the land surrounding us and give them functionality so that you can enjoy the great outdoors at home. 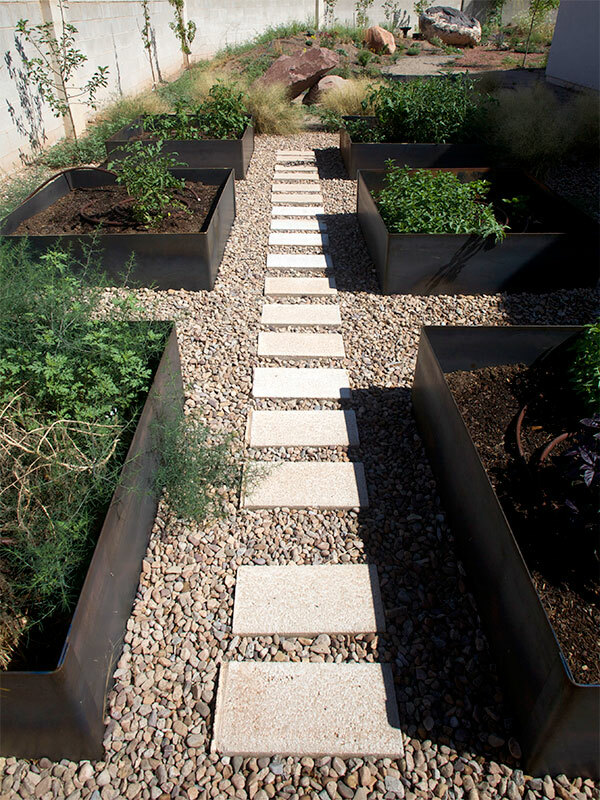 We build fire pits to light up your back yard and planters to help the garden grow. 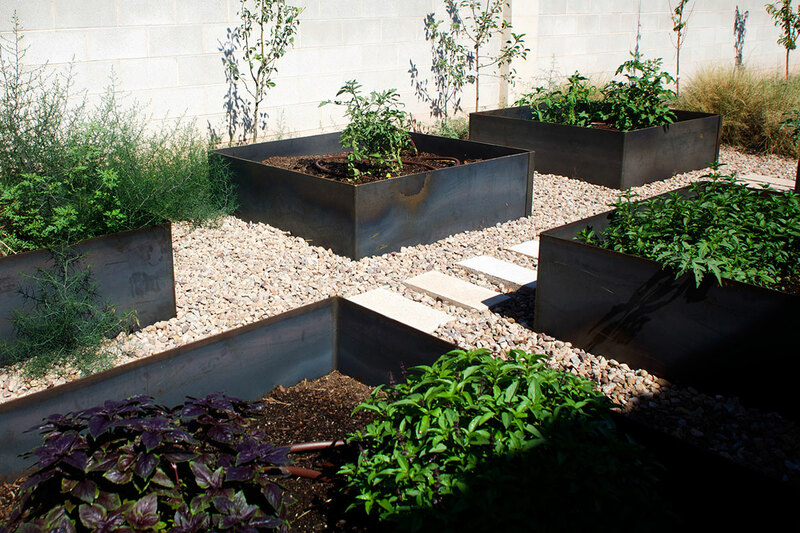 Metal raised beds aid in growing seasonal fresh veggies. 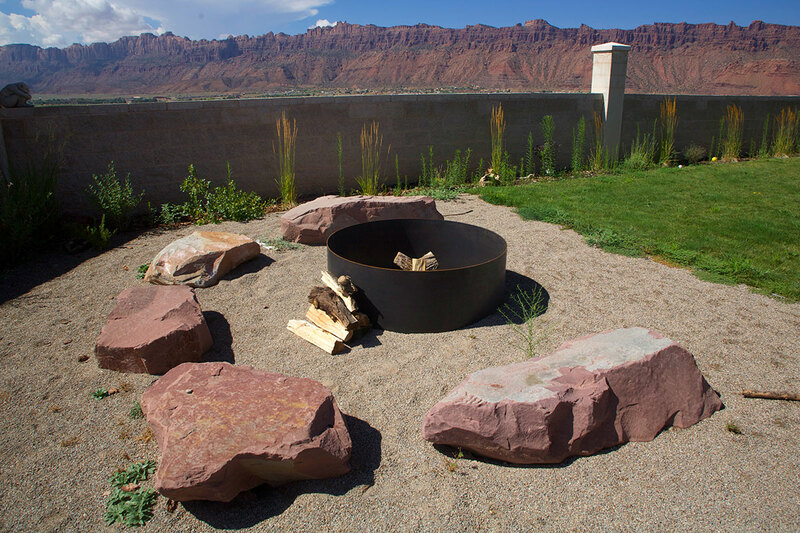 Fire pits can be tailored to fit any space. Take advantage of your back yard. 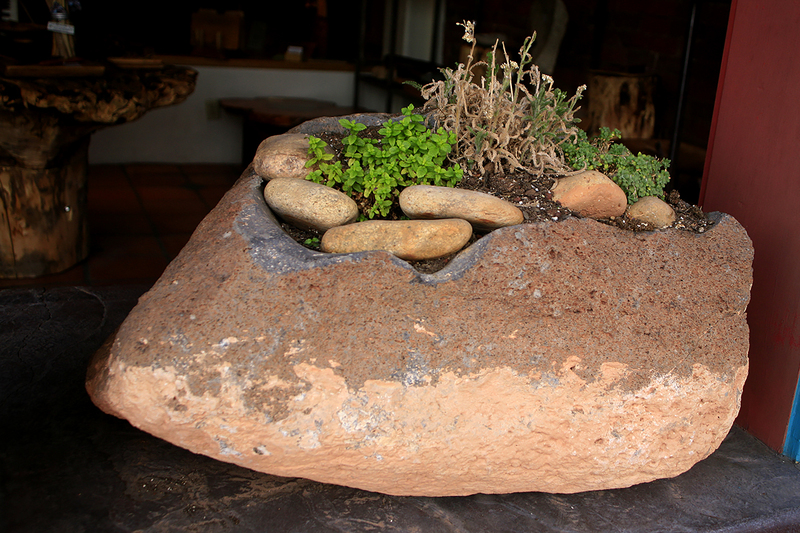 Choose from local hand shaped boulders, or recycled steel. 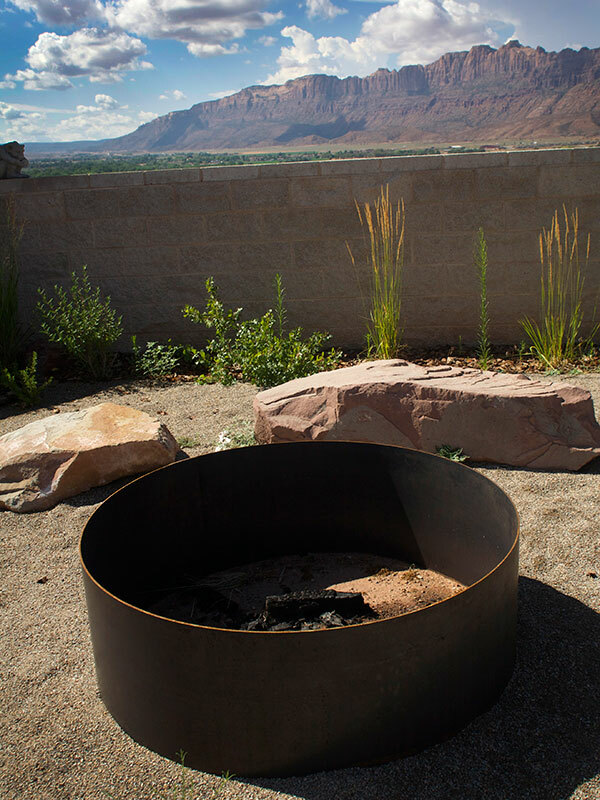 We collect large boulders of Basalt and Gabbro from Torrey, Utah and Diorite from the La Sal Mountains outside Moab, UT to create our fountains, planters and fire pits. If you have a size, we have a boulder waiting to be carved to your specifications. 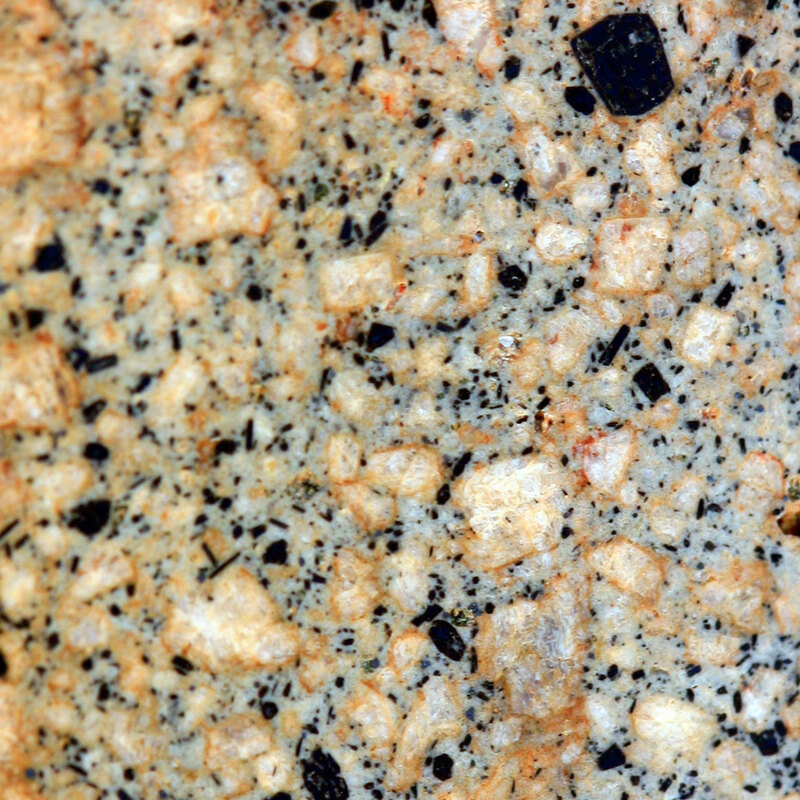 Sandstone is our most prominent local rock, it surrounded us. 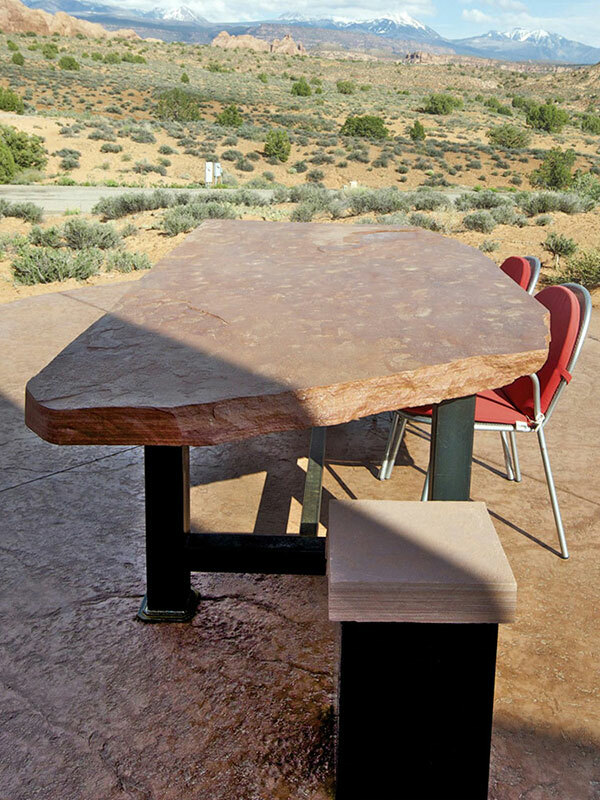 We utilize this local stone for tables, benches and seats. 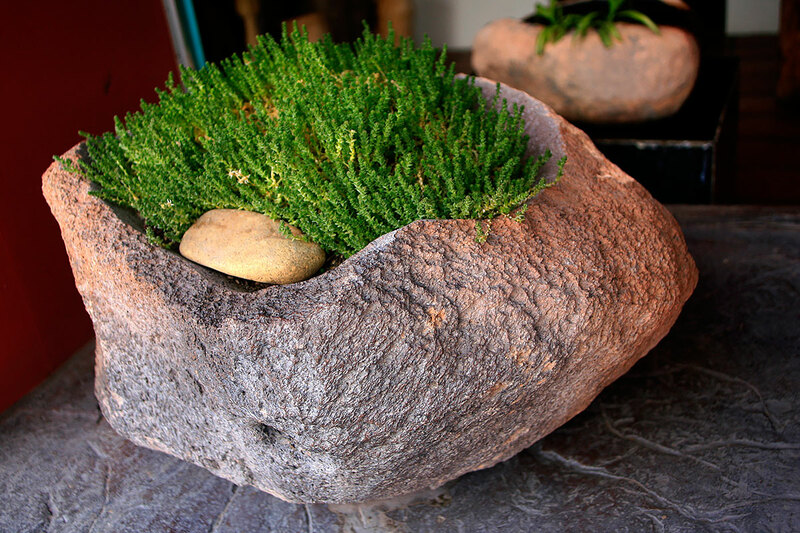 Live outdoors with your own piece of slick rock.